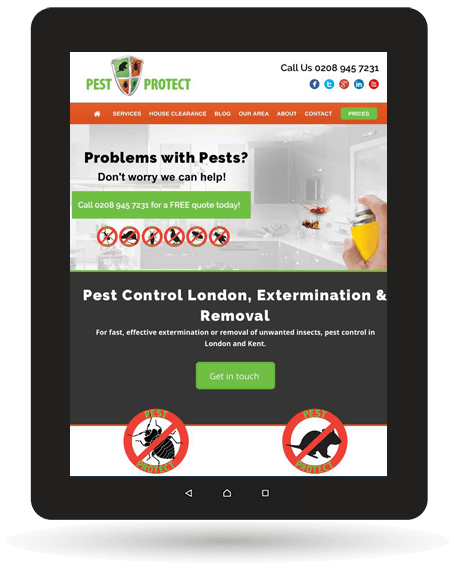 Pest Protect are a dedicated pest control agency offering unbeatable, tailor- made pest control solutions to customers throughout the whole of London and Kent and other home county areas. 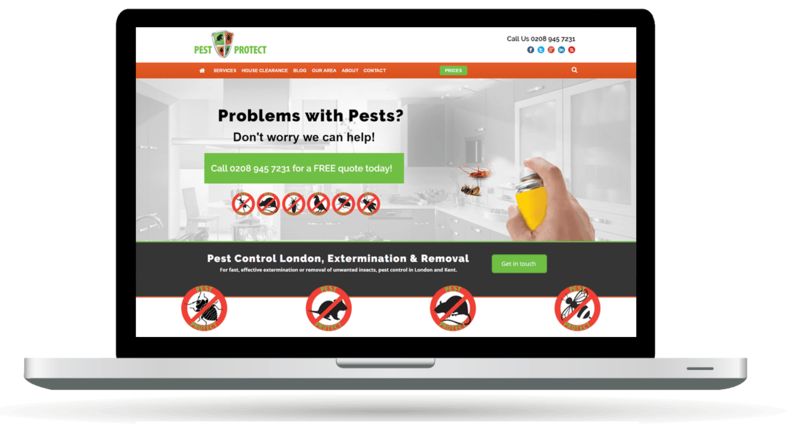 They eliminate any pest in or around your premises, including rats, mice, ants, wasp nests and bed bugs. 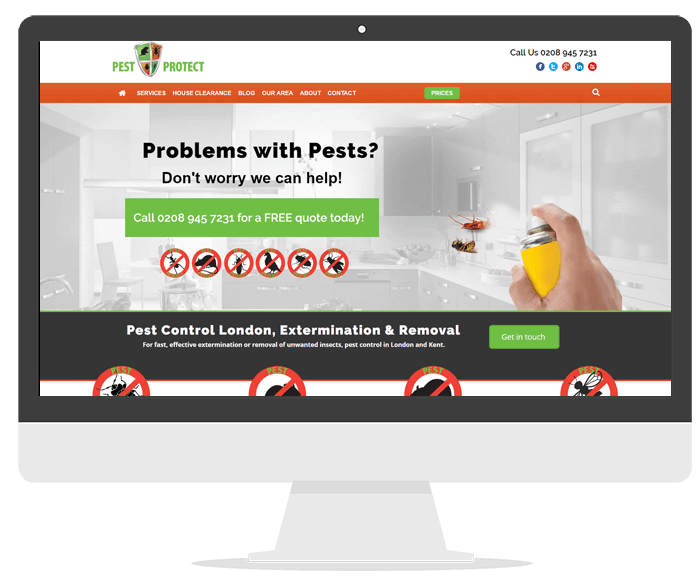 To install WordPress, create the design artwork and develop to match the clients ethos and services.